It’s the first Take 10 Challenge of 2012, and we’re kicking off (literally) with some shoes. The lovely people at Zalando gave us free reign to each choose a pair we loved from their Zign range… so that’s just what we did! I love these brogues. Love. Them. 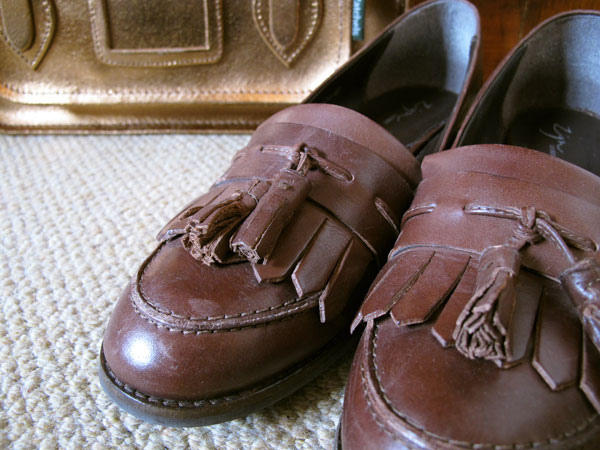 The tassels, the dark brown leather, the fringing – all winners in my book. 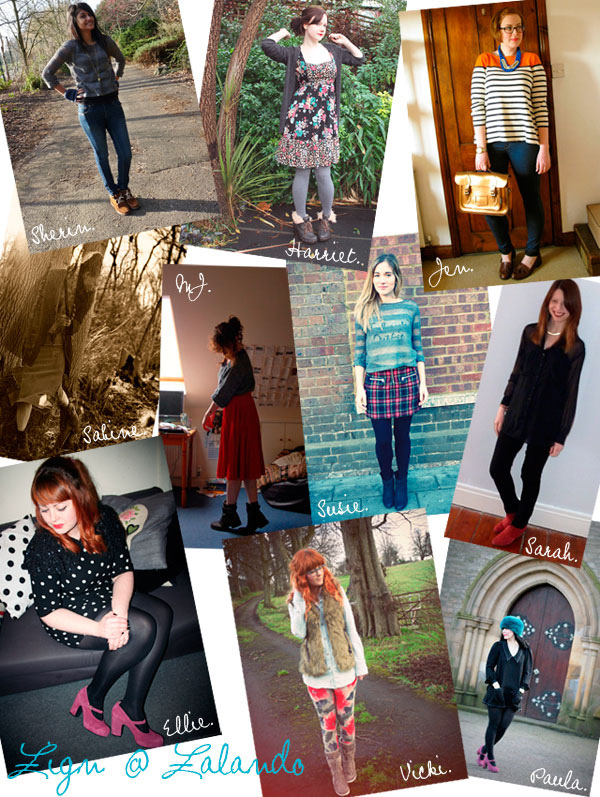 They’ve made their way into my favourites, and so I decided to style them with other current wardrobe favourites. My Cos top (a very wise sale buy), these super soft and super skinny Primark jeans and a bit of bright and bold bling make for a simple, classic outfit. What do you think? How would you wear these brogues? Gorgeous shoes! I love your bag too 🙂 what size is it? great loafers! Love how you’ve styled them ! Yes, Primark! 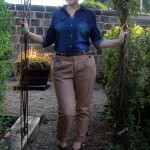 I think they’re supposed to be dupes for the Topshop Leigh jeans – they’re so similar. Very comfy too! Love this outfit! I have been looking for a pair of loafers exactly like that, except with a mid-heel so I can wear them with my flared jeans all Charlie’s Angels-esque! 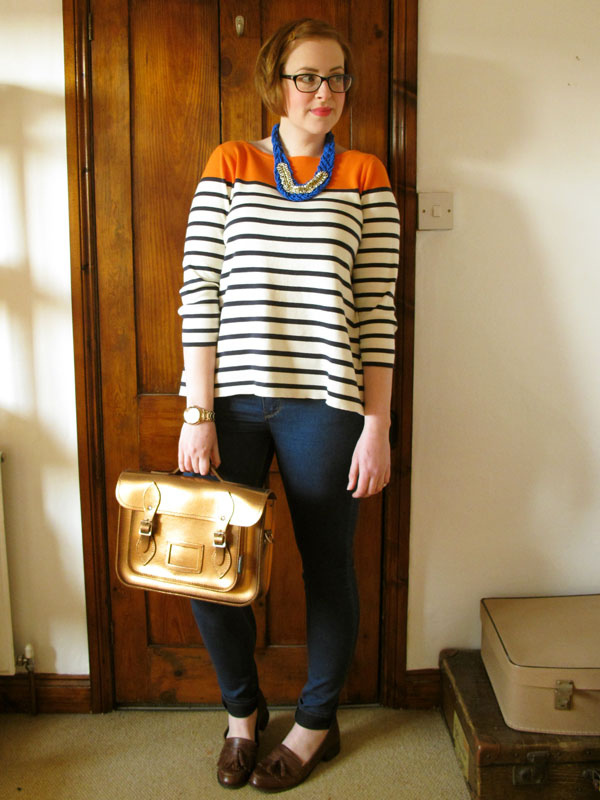 I’ll have to check out Zalando’s website… Loving your breton top too, that pop of orange makes it look expensive. I looove the brogues. And I was admiring your wise sale choice top the other day! And the bag! Ahhh, dream outfit. 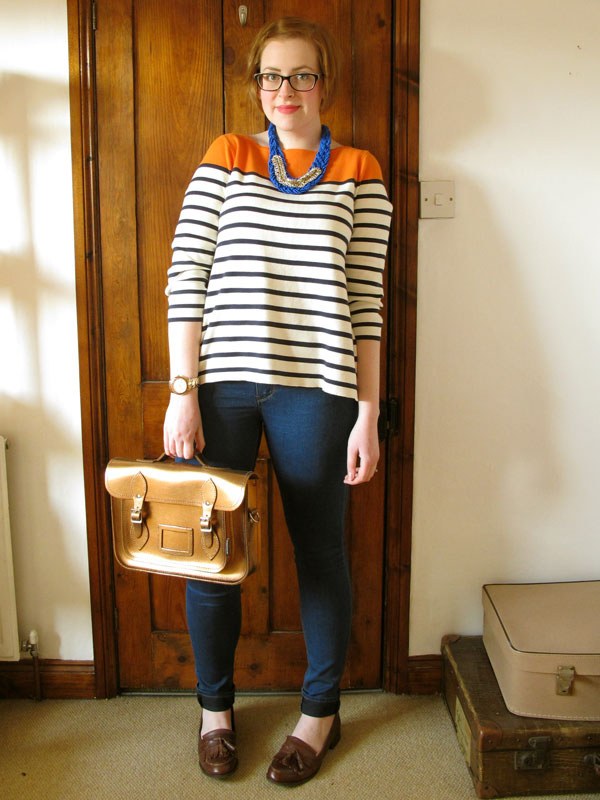 I love that entire outfit from the wonderful stripe sweater and necklace down to those fabulous brogues – I really really want a pair now! 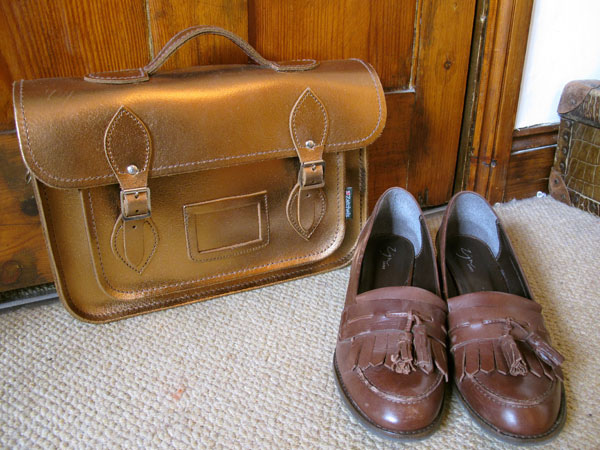 I really need a new pair of loafers, love these! That necklace is great too. 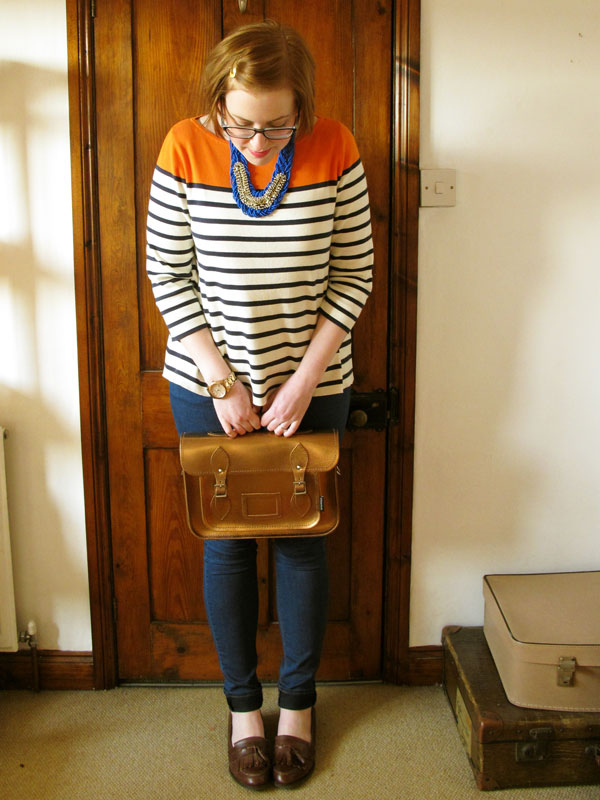 Those shoes are just gorgeous, I can’t get enough of tassled loafers the last 6 months! Wow looks that simply looks great. I wish I could wear something like that too.